You can also find out the next steps in the fight to end family separation and attend events to save net neutrality. This week’s Take Action Now is focused on a campaign to end human-rights abuses in the supply chain of fast-food giant Wendy’s, next steps in the fight to end family separation and detention, and events to save net neutrality. After years of escalating pressure from the Coalition of Immokalee Workers (CIW), the fast-food giant Wendy’s has announced that it will repatriate its tomato purchases from Mexico to the United States. However, the corporation has still fallen short of CIW’s key demand: that Wendy’s join its peers in the Fair Food Program, a worker-driven initiative that has improved working conditions and drastically decreased sexual assault in tomato fields. 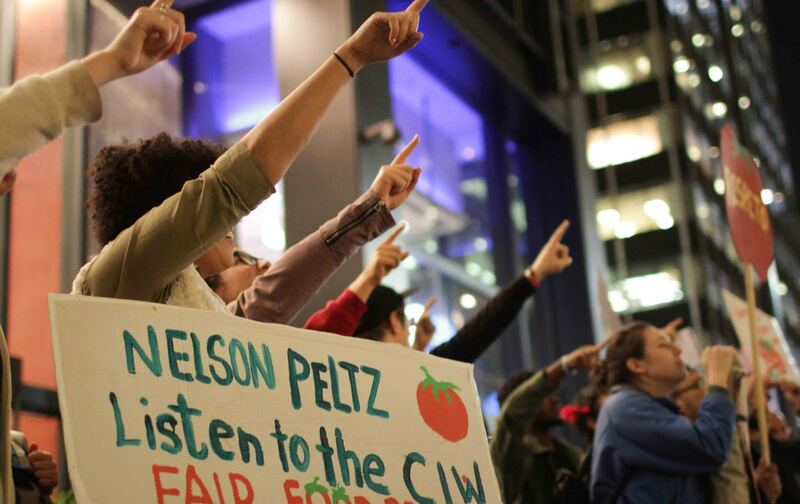 This Thursday, July 19, CIW members and allies will be marching on the offices of Wendy’s Board Chair Nelson Peltz. Join them by calling Peltz this Thursday to demand that Wendy’s join the FFP and use its purchasing power to support workers’ rights. You can find more information and directions here. Despite an order from a federal judge to reunite families separated under the Trump administration’s “zero-tolerance” policy, many of them remain separated and horrific stories continue to emerge of the treatment of the children and adults being held in detention centers. Join a call organized by the National Domestic Workers Alliance and the Families Belong Together coalition to find out next steps in the struggle to end the Trump administration’s cruelty toward immigrants. Thousands of small-business owners who rely on the open Internet have signed letters demanding that Congress take action to save net neutrality. This Thursday, July 19, they need your help to deliver them to members of the House of Representatives. Find a rally and letter delivery in your area and sign up to attend.